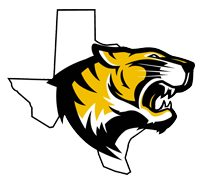 Exciting student accomplishments are happening at Malakoff ISD. We are thrilled about the opportunity to partner with your family to provide a high quality education for your student(s). Immunization Shot record – please go to http://www.dshs.texas.gov/immunize/school/pdf/2018-19-Texas-Vaccine-Requirements-for-Students-Grades-K-12---Bilingual.pdf for 2018-19 vaccine requirements. Bring the completed Transfer Application to the appropriate MISD Campus Registrar’s office you are transferring to. Once received, the Principal and Superintendent will evaluate the application. After the evaluation process, you will be contacted to let you know if the application has been approved or denied. The evaluation process may take up to a week to complete. If your application is approved, then you need to continue with the enrollment process steps up above, starting with filling out an Enrollment Packet in English or Spanish. For returning MISD students, the registration for 2018-19 school year date and time infomation for each campus will be posted once finalized.